Every week leading up to the 3rd Annual Little Black Dress Night, we’ll feature a member of Young Women’s Leadership Society. This week, we’re featuring Makesia, a dedicated and focused ChiTech senior. Makesia is a senior at ChiTech. 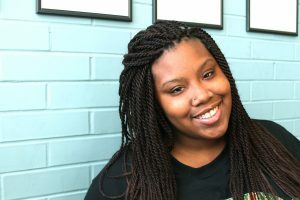 She originally came to ChiTech after grammar school as it was in her neighborhood, but has since been exposed to eye-opening opportunities and experiences. 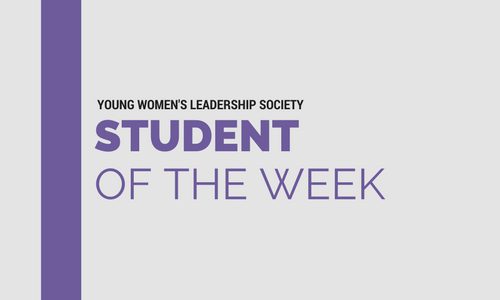 She appreciates the networking opportunities and bonding YWLS presents, and her development as a young woman in the tech industry. She encourages other young women to join the club because it’s a society that gives a voice to young women. She believes YWLS is a family and an experience that sticks with you forever. Her favorite YWLS memory is when YWLS traveled to Tallahassee, Florida and Atlanta, Georgia, to visit HBCU’s like Clark Atlanta University and Florida A&M University. 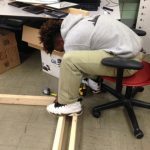 Hard working, dedicated and trustworthy, she plans to enroll in college and major in criminal justice and social work after graduating from ChiTech. She eventually hopes to be a juvenile probation officer. Makesia’s friends describe her as loyal, funny and motivational. 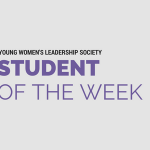 Her role models are her mother, her aunt, and YWLS mentor, founder, director and “big sis,” Tiara Wheatley. She admires them because of the help they’ve afforded her in reaching milestones, and the ways in which they carry themselves. Makesia was born and raised in the Little Village neighborhood of Chicago.